High interest in its new Torres Strait Islands cruises has prompted expedition cruise operator, Ahoy Buccaneers, to offer another five sailings to the remote and rarely visited islands in 2019, with a 10 per cent saving available for bookings made on new cruises by April 30, 2018. The Torres Strait Island cruises are Ahoy Buccaneers’ first foray outside its base in the Kimberly region, with the first five cruises departing in October and November this year. The five new sailings will explore the southern, emerald islands of the Torres Strait archipelago as well as Cape York – the most northern tip of Australia – from February 25 and also March 4,11,18 and 25 in 2019. Scattered across a 150km stretch of ocean between Cape York and Papua New Guinea, the Torres Strait archipelago is home to stunning, blue waters as well as dugongs, dolphins, giant marlin and sea turtles. The Torres Strait reefs provide plenty of opportunities for fishing, snorkelling, fishing and just marvelling at the beauty of nature. The low-cost cruise operator’s 19-guest motor yacht, ‘Oceanic’ will take passengers on a round-trip cruise from Horn Island to unique and culturally rich islands where, included in the cost of the cruise, a local guide will each day showcase the diverse history of the Torres Strait Islands. 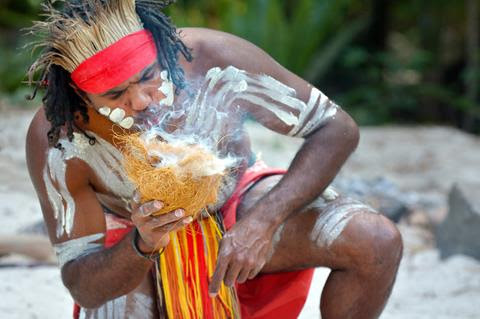 Guests will learn about early indigenous cultures, tales of headhunters and the place – Possession Island, near Cape York, where Captain Cook claimed Australia for England in 1770. Travellers can also visit the remains of the World War II airbase on Horn Island, which was bombed eight times during the conflict. There will also be the chance to enjoy a beer at Australia’s most northerly pub – the Torres Hotel on Thursday Island. Friday and Wednesday islands are also visited and thee is the chance for guests to try their hand at cray fishing in Torres Strait during the adventure. The six-night cruises begin and end on Horn Island with guests able to fly there with Qantas on daily flights from Cairns. Oceanic offers double bed and bunk cabins as well as the unique experience of sleeping under the stars in deluxe swags on deck. The 24m rigged vessel also boasts indoor and outdoor dining areas, two lounges and a deck spa. Fresh and healthy cuisine is prepared by an onboard cook who regularly sources much of the menu from what is caught from the sea each day. 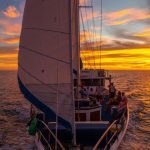 Including the 10 percent discount for bookings made by April 30, 2018, the 2019 Torres Strait island cruises are available from $2520 per person (including for solos) in a swag on the deck and from $3150 per person in a cabin, twin-share. Fares include meals, shore excursions and transfers during the cruise. Flights to Horn Island are additional.